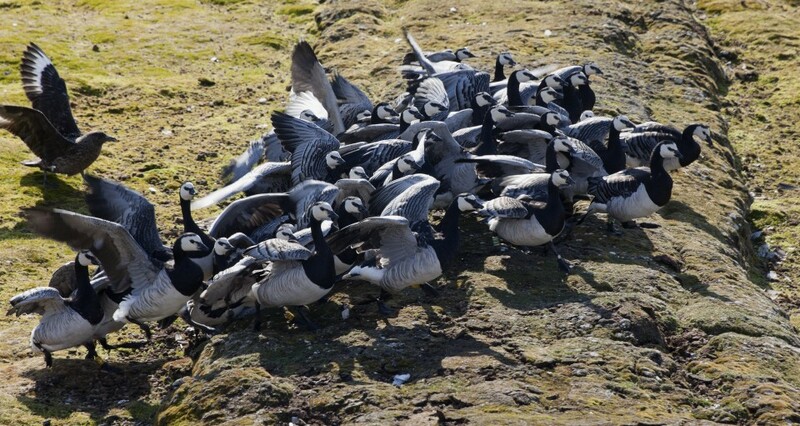 We wanted to read goose rings on the island of Storholmen. 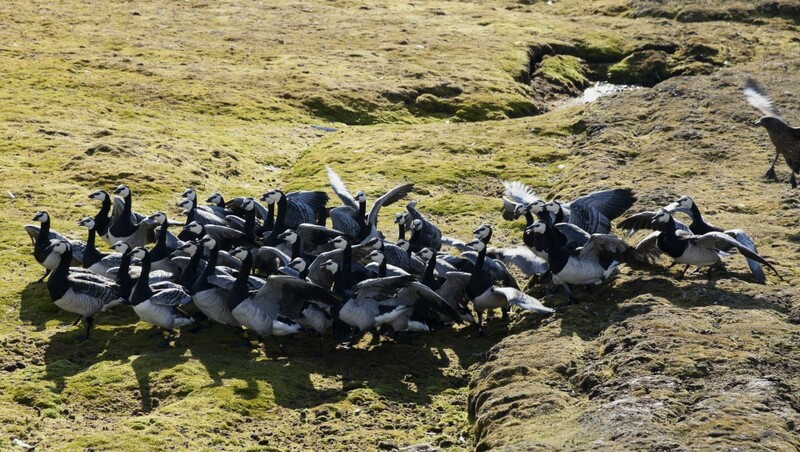 Maarten tries to move the geese towards the hut where Ronald and Jelle are hiding with a telescope. 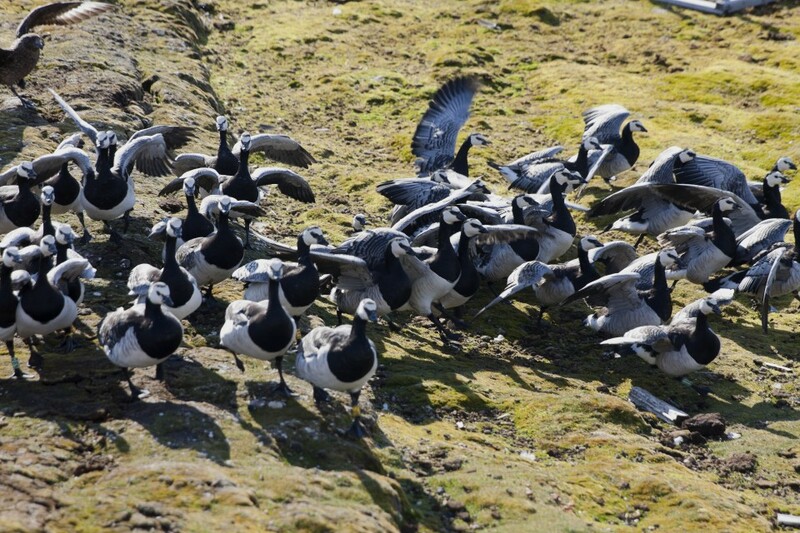 All seems to work when a skua takes over and start chasing the geese. 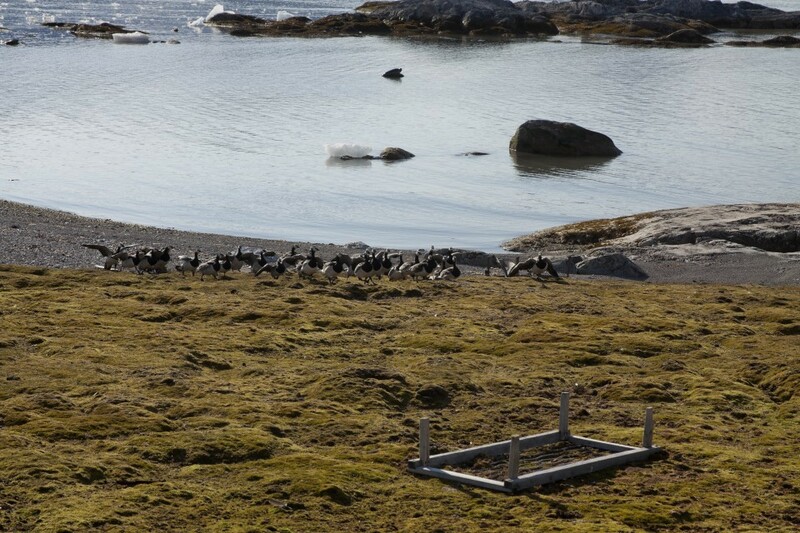 The geese leave the water as the skua could drown them. On land, the skua tries to chase the geese back to the water but in vain. About thirty attempts the skua lands near the running flock to chase their direction.